How about strong currents ? Raja Ampat is known for its strong currents that play an important role in the biodiversity and resilience for the area. This reputation usually puts off snorkelers from considering Raja Ampat for their holidays. Despite the fact that some of the most popular sites of Raja Ampat indeed get strong currents, they are manageable, and snorkelers of all levels can enjoy these highlights. We manage the currents by our knowhow about the way currents change throughout the year, month and day, and we can ensure that you enjoy the area without a scuba. We will drop you at the right spot, so you don’t miss the underwater attraction, and comfortably drift with the current. Our snorkel guides and boat crew will take care of you when you get tired or you want to have another look at the reef. Will I be on the same boat with divers? 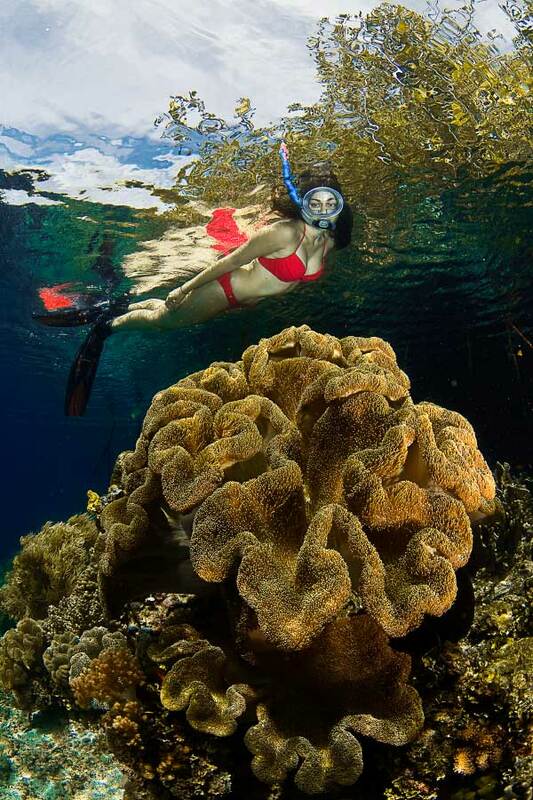 There are many reefs that can be enjoyed by both divers and snorkelers. However, some of the highlights of Raja Ampat that divers will want to keep going back to, are not snorkel friendly because the reef is too deep. 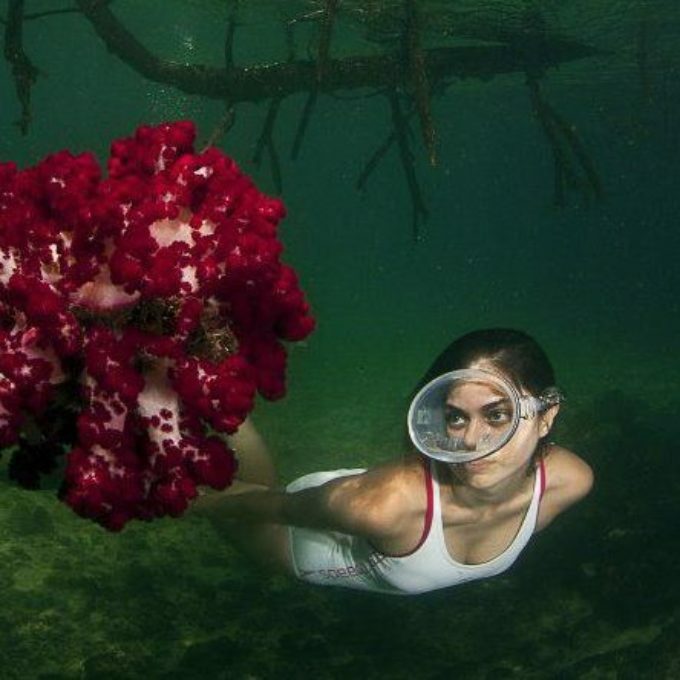 There are also other sites that may be of little interest for divers, but snorkelers can enjoy. At Papua Explorers Resort, we value our snorkelers and allocate them a dedicated boat when divers are going to non-snorkel-friendly sites, so they are not limited by scuba diving sites. What to look for when you’re booking? Firstly, it would be good to check if the operator employs local guides. Although there are amazing snorkel guides from other islands of Indonesia, locals that grew up in these waters know their reefs best. They know how to move in specific sites, where the marine action is, and they are the best people to show you their own waters. Second, it is important to know what kind of boats you will be using. Since you will spend more time on the boat than divers, you should look for boats with sun protection. Third, the safety procedures should be transparent. Do the boats have two engines and radios? Does the operator have life vests? Will you get a snorkel guide? Will the captain always watch and follow you at a distance? This is particularly important to protect you from boat traffic and from drifting with the current. Almost everything that a diver can! With the exception of specific species that live only in depths, you can see and enjoy all the marine life. Besides, tops of the reefs are always the most colorful parts of sites anyway. From mantas, sharks, wobbegongs and turtles to schooling reef fish and tiny nudies, you can see all there is to see from the surface. And click here for even more reasons to visit Raja Ampat.